Fireball with muddled clear body halves molded with silver glitter; red/orange cap with silver imprint. The "SpinGear" logo is printed just above "High Performance". 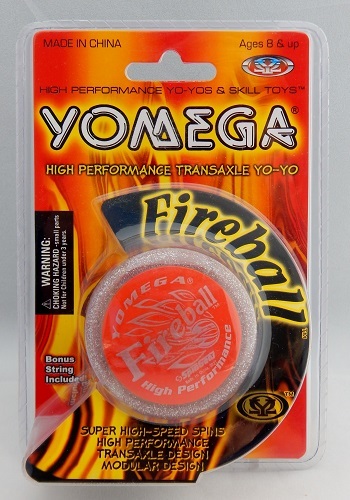 This version was a special release from SpinGear yo-yo shop of Japan in 2011. Original retail price: $17 US.